If you're asking yourself... How can I sell my house fast? Here's the answer! We buy property for cash - any location, any condition! Simply enter your post code and answer a few short questions or call us today to see if we can help. We can offer you an initial price based on similar properties in your area within 24 hours. If you’re happy with the initial offer, a member of our team will visit the property at a time that suits you to assess your property. Once we’ve received the information back at head office we’ll be in a position to give you our formal offer for the property. If you agree to the formal offer, we can then quickly arrange for an independent solicitor to act on your behalf. Once we've received back all of the legal work and it’s been reviewed we can then set a date that suits you to exchange and complete. Need a fast house sale? We offer top prices, an easy process & friendly service in Plymouth. If you’re looking to sell your property quickly and easily, and at a great price, you’re in the right place. That’s because, wherever your property is and whatever its condition, “Buying Property Fast” has the funding to make you a highly attractive cash offer for a private sale, and the experience to complete the sale quickly and easily – usually within 28 days. When you choose to sell your home to us, you’re dealing with a professional, friendly and open team. We’re rare among property buying companies in that you’ll find no hidden costs, no surprises, no last-minute changes of mind – just an honest, transparent process that gives you a superb price with absolutely no hassle. If you’re unsure, why not arrange a visit – there’s absolutely no obligation. If you’re looking for a fast home sale, why look elsewhere? The information below demonstrates how, over the time it takes to sell via an estate agent, costs can quickly add up and eat into your selling price. The figures shown above are based on a property for sale at £100,000. They demonstrate how over the time it takes to sell via an estate agent, costs can quickly add up and eat into your selling price. 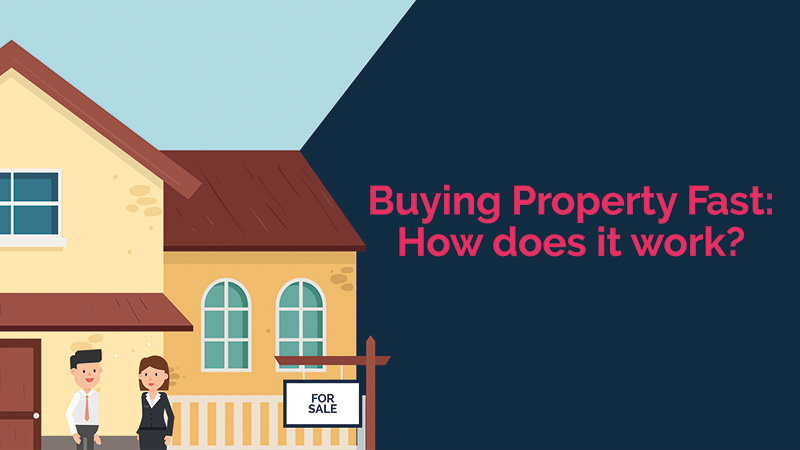 Whereas, the price that Buying Property Fast offers isn't too far away from what you would end up with if you chose to sell through an estate agent. However, with Buying Property Fast you have a much faster sale. Taken into account in the information is £105 as a day rate for days taken off work, this is based on the UK average salary of £27,271. The mortgage repayments have been based on a rate of 3.5% on a 20-year repayment mortgage. The council tax example is based on Brand B in Grimsby which is £1,376 a year and the utility bills based on the UK average dual fuel bill. The estate agent fees have been based on 2% +VAT and the solicitors' fee £1,000 +VAT. Unlike other companies, we have also included the costs to be taken away from our offer. Our offer is based on a RICS valuation of no less than £100,000. In the above example, there are no problems with the searches or legal side and the building is of standard construction. There are no other issues in regards to the property and because of this, we have based the sale on a one-month process.